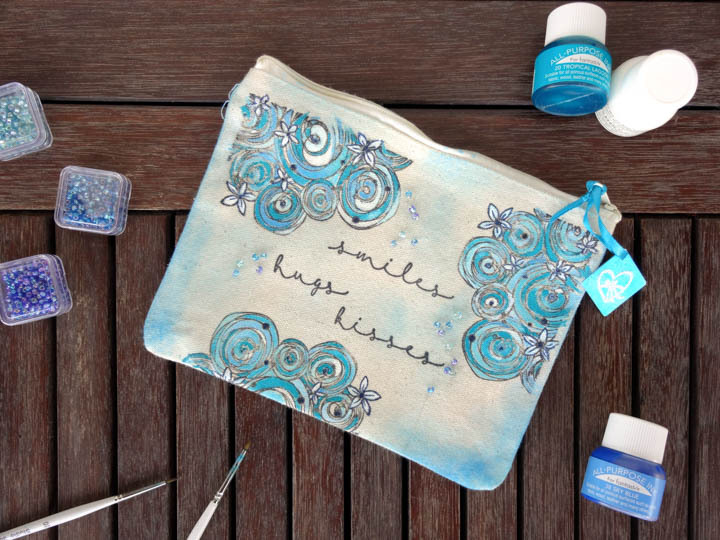 Learn how to decorate a cotton zipper tote bag using your favorite stamps and All-Purpose Inks. You can customize your colors and images to match your purse, phone case or even an outfit. This would make a pretty pencil case, cosmetic bag or small purse. Visit the Imagine Crafts blog for more details.